There is a wide spectrum of external doors that you could choose from. Each door fulfills a different need and adds to the look of your home. Choosing the best out of the option can become a difficult task. The wisest option in such situation is Composite Doors. They suit all houses, regardless of the design or color of the house. External Composite doors can be customized and molded accordingly. All the good qualities of external doors are combined into Composite doors. 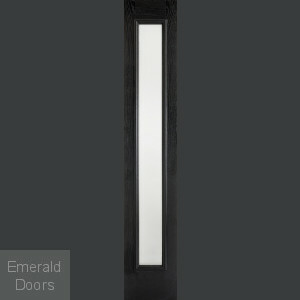 Emerald Doors is one hub for external composite doors, which provides multiple benefits of using them. Blends Effortlessly: External doors can be made according to your liking. The vast possibilities in design and glass make it easier to make it in a manner that blends with the house. You do not have to venture into elaborate and complicated options of external doors to find the one that suits your home. A Durable Option: The notion that only metal doors can make strong doors can be nullified after the invention of composite doors. Composite doors are layered and made with multiple materials. Combining more than one material makes it stronger. Moreover, it increases the durability of your external door. Zero Maintenance Cost: One of the best thing that could happen to your house is Composite doors. When the doors are coated with glass reinforced plastic, the door becomes resistant to unwelcome agents. It prevents the door from looking faded or from getting damaged by weather. It also does not let the door warp or crack, avoiding the pains of regular polishing and repairing. High Thermal Efficiency: Composite doors serve the purpose of keeping your home always feels like it is at the right temperature. No matter where you live, the Glass Reinforced Plastic (GRP) makes them thermal efficient. It keeps out the extremities of weather. The inconvenience of feeling too hot or too cold inside your own house will not have to be a problem anymore. It also keeps the internal temperature of your house stable. This acts as an energy-efficient method, saving both money and resources. Safe and Secure: There can be many safety installations done into the composite doors. Such measures will keep you and your family safe from any danger. The mechanical equipment for safety can be directly attached to the door, making it impossible to get through without permission. The strength of the frame of the door also acts as an extra barrier. Emerald Doors presents a plethora of attractive colors and features of composite doors that will surely leave you astounded. Since these doors are found everywhere and are readily customizable, they can be made according to the amount of money you are willing to spend. You can get the doors made under your budget while not compromising with important elements like appearance and safety. There is also no need to hesitate in relation to the quality of composite doors. Overall, the doors will surely go well with your external décor and design and increase the aesthetic value of your home too. For more information on External Composite Doors call Emerald Doors on 0845 62 50 755 to speak to a member of our team, today!